So, check your tresses into Layered’s Holiday Hair Rehab – let them enter this safe space and share their pain with our team of therapists, and we’ll get them through this and looking better than ever! Making some noise about your brassy hue? 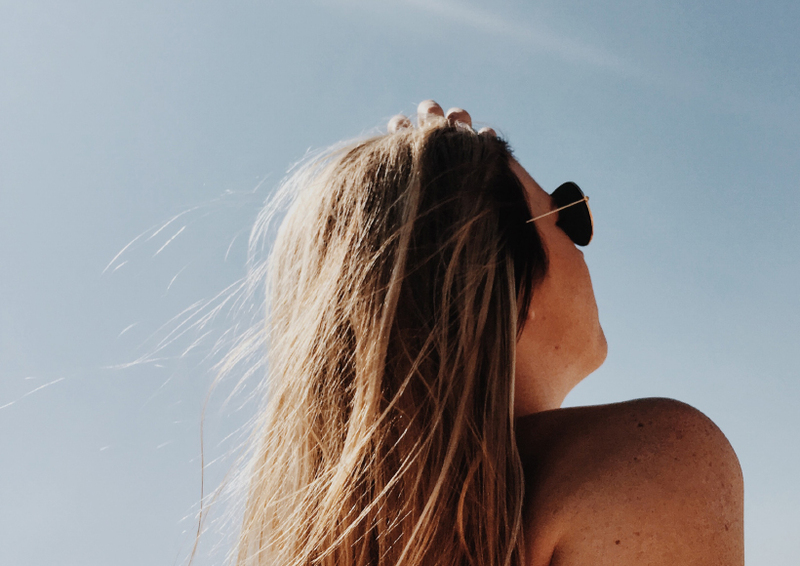 Your hair needs a sun shield as much as your skin – not only can it burn, but it can also alter your hair colour, especially if you’re a less-than-natural blonde. But nobody panic! For an instant brass banisher, reach for a really good silver shampoo, such as Fudge Professional’s Clean Blonde Violet Shampoo and leave it on to do its thang. “Work into a lather then leave on the hair for a couple of minutes to allow the formula’s hydrating guarana and violet pigments to neutralise the unwanted yellow tones that beset blondes,” says Tracy Hayes, global head of technical training at Fudge Professional. “You can double up with Clean Blonde Violet Conditioner, which is my favourite, because it contains a slightly lower level of violet pigments for further toning without the purple-rinse look!” When you’re out of the shower, spritz towel-dried hair with Clean Blonde Violet Tri-Blo, a triple-action toning prep spray with professional strength violet micro-pigments to knock out even more yellow-orange tones, while protecting against heat of up to 235˚C AND providing high-octane shine to dull, sun-frazzled hair. If it’s REALLY bad, then a trip to the salon for a toning service at the sink might be in order. It’s pretty quick and will get you looking heavenly rather than post-holiday-hellish within 60 minutes (that’s counting in a luxe blow-dry, too). Ouch! My scalp is scorched! Feeling the burn? Take some (cold) comfort in that you’re not alone. 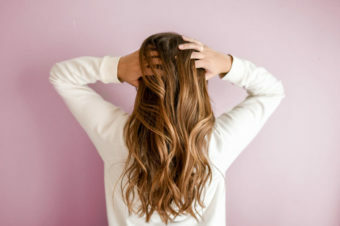 A staggering two-thirds (68 per cent) of British women said they were previously not aware that hair can burn just like the skin, almost two-thirds (66 per cent) of women admit that the sun causes a ‘huge to quite a lot’ of damage to the health of hair and scalp – and over a quarter (26 per cent) of women admitted that they have experienced sunburn on their scalps. Anabel Kingsley, trichologist at Philip Kingsley, admits: “Summer holidays may be one of the greatest times of the year but, sadly, they can be one of the most stressful periods for the hair.” No wonder then that Philip Kingsley has an After Sun Scalp Mask infused with chamomile and aloe vera to soothe and can be used all year round if your scalp is feeling a bit dry and flaky. Eeek! My hair is now frazzled straw! Sun! Beach! Pool! You might have had fun on your holiday, but we’re guessing your hair was screaming for mercy, right? Now it’s time for your lengths to get a relaxing break at a spa you can create at home… with a little help from your microwave! Neil Smith, art director at Leicester’s Barrie Stephen, advises you to cleanse your hair with a nourishing shampoo – he recommends Schwarzkopf Professional BC Repair Rescue – before carefully towel drying. And looking ahead, listen to the wise words of that iconic French hairdresser once more. “You would never wash your silk blouses with detergent and I always tell my clients that the same rule applies to your hair,” says Christophe. “Whether your hair is coloured, highlighted, natural, dry, frizzy or fragile, a gentle, detergent-free formula is important. Adopt the ‘no-shampoo method’ used by Californian and Brazilian women who wash their hair with masks or conditioners to avoid damaging hair already weakened through colouring.” He points to his rather lovely Cleansing Mask with Lemon, a ‘low shampoo’ product that exfoliates the scalp with acidic lemon, seals the cuticle of alkanised coloured hair and helps prolong your colour. My expensive extensions have changed colour! 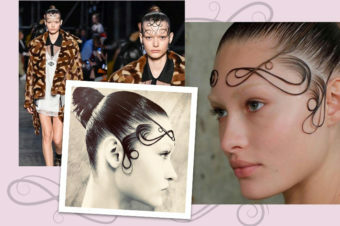 You ladies of extra-long lengths have to be super vigilant going forward, because your extra hair can be more sensitive. Some complain of green or orange hues, often down to chlorine and mineral deposits, such as copper and iron in foreign water filtration systems and pipes, but Victoria Lynch, founder of extensions brand Remi Cachet, was keen to investigate more. “It’s really important that the hair extension wearer understands that the colour change is a chemical reaction to something that has happened to the hair,” she explains. “We have been testing our hair across the ranges and colours, alongside other brands, with sun cream, the effects of water and sun.” A chemical called avobenzone, an ingredient used in most sunscreens for its UVA absorption, but just like your clothes can discolour hair it contacts. It’s also used in lots of products such as perfume and hair perfume, so extension lovers need to check their product ingredients carefully. While the sun helps to speed up the chemical reaction, the change is most noticeable on blondes. Victoria’s answer was Malibu C (nicknamed ‘little packets of miracles’), which not only rectifies the damage caused but also repairs the hair to leave it in great condition. Choose from Swimmers Remedy, Hard Water Wellness and Miracle Repair Reconstructor (found at additionallengths.co.uk), and they’re only a couple of pounds a pop! Did you go sea swimming without anything protective in your hair? Eeek! Salt is a natural dehydrator and as hair is at its healthiest when it’s hydrated, this is bad news – salt water strips the hair of its moisture, so you’ll see dry, brittle and difficult to manage hair. You need to put those oils back in your hair! The L’Oréal Professionnel Serie Expert Nutrifier range has a new glycerol and coconut oil formula that helps to hydrate and nourish hair. “It adds lustre, shine and prevents hair breakage and split ends, but because it’s silicone free, your hair is left feeling lightweight, natural and soft to the touch. It’s like it’s been replumped!” says Adam Reed from Percy & Reed. There’s an in-salon treatment called Monodose Nutritive Concentrate for undernourished hair that you enjoy at the backwash, and Adam recommends that you “grab a tube of Nutrifier Glycerol + Coco Oil DD Balm to take home – it’s perfect to help protect hair and leave ends softer, more supple and shiny”.